As a sole proprietor I run my own drafting services business, and up until now I’ve been using an external hard drive to backup my CAD files. This has been good, but in reality, not good enough. The reason an external hard drive falls short is because I keep my computer and my external hard drive in the same building. If there was a fire in my building, then my years of CAD files would be lost. I could put my external hard drive in a safe deposit box or some other separate location, but this would not be practical. 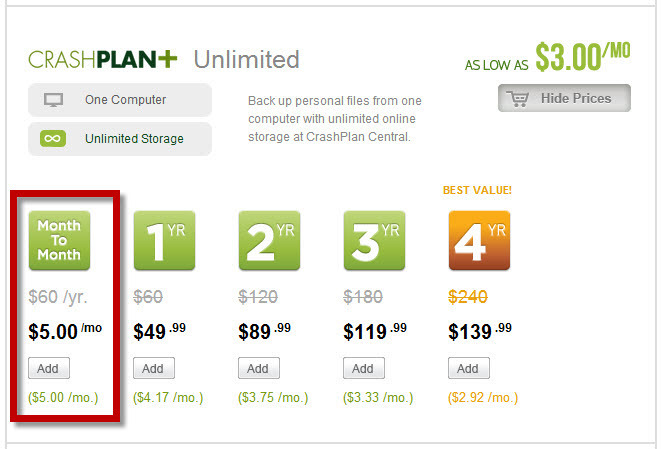 Therefore, today I finally purchased a cloud storage plan for my files. 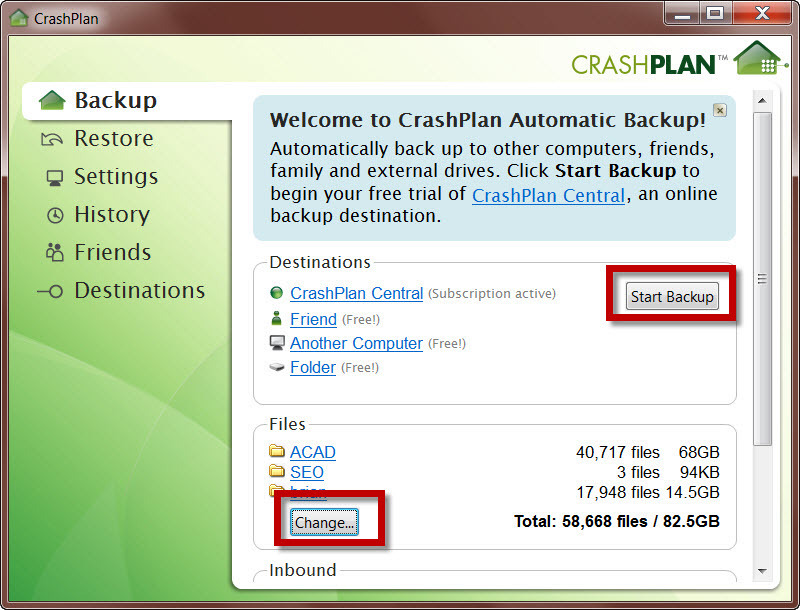 I went with CrashPlan, and backing up my files was truly easier than I imagined. I thought I was going to have to painfully learn a new interface, but I essentially did not have to. How great is that!? The service offers a few different plans. I went with the cheapest plan that could handle the amount of storage that I needed. That plan was the unlimited plan. I went for the pay monthly option, so that without a commitment I could determine if the service is as good as I expect it to be. To use this service I had to first download the software and install it. That was a snap. The software automatically opened after it was installed, and I had to input my name, email, and then pick a password. This also was painless. Right after I input this info the software scanned my computer and identified the folder it thought I wanted to backup. I was so happy the software just automatically brought me to that point. All I had to do was add two more folders that needed to be backed-up. I did that by clicking the Change button. Next I hit the Start Backup button, and the backup began. That’s it! From paying, to installing, to running the software was very intuitive. I like that! I should note that although the process of backing up my files began immediately, it will not be complete for a few days. That’s because I have so many files. I tinkered with the upload settings a bit, to see if i could get the backup time shortened. My tinkering didn’t make much of a difference, so in the end I reset the default settings. Also, the program only runs when my machine is on. 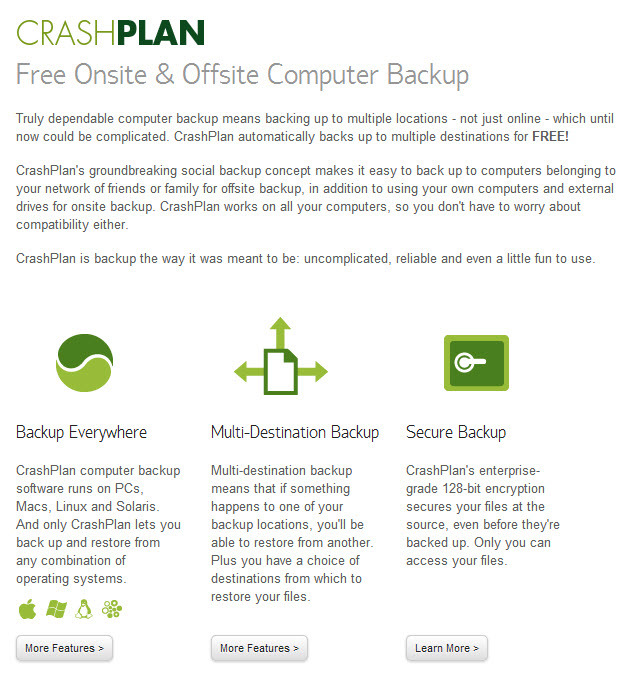 Overall I’m off to a great start with CrashPlan, and I hope it continues to be a breeze of a software to use. This entry was posted in Business Needs. Bookmark the permalink. ← Help! My Hand and Forearm Hurt!